Jan, Eilene, and I went to Napa on a day-trip. I went mostly to go to Whole Spice for the spices I can’t get around the South Bay—yes, I could have bought them on-line, but you really do not know what you are getting if you cannot smell the spices. We also went to find the lamb bacon that Jan had tried the last time she was there at the Fatted Calf. 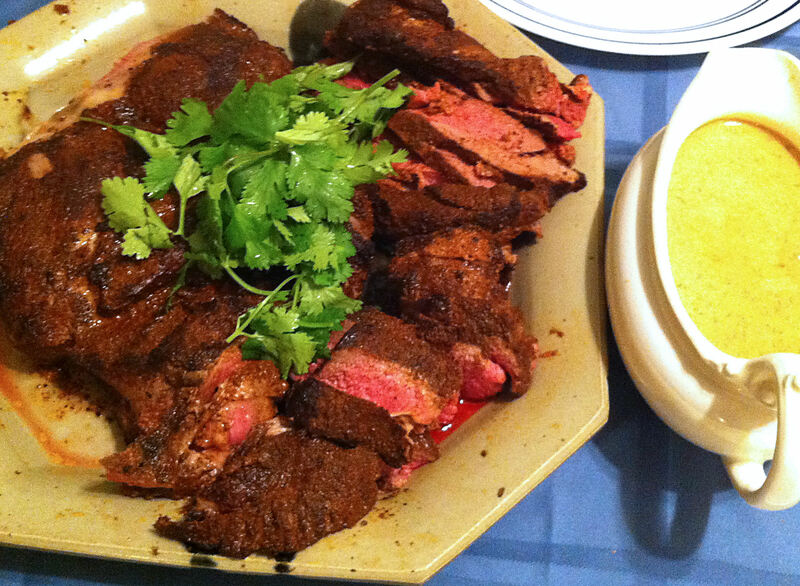 Everyone in my family loves lamb in any form—it is a Lueck thing. Jan unfortunately—or fortunately depending on your point of view—is a Lueck by marriage and she only likes barbecued lamb. Stewed, simmered, braised lamb is right off her menu. 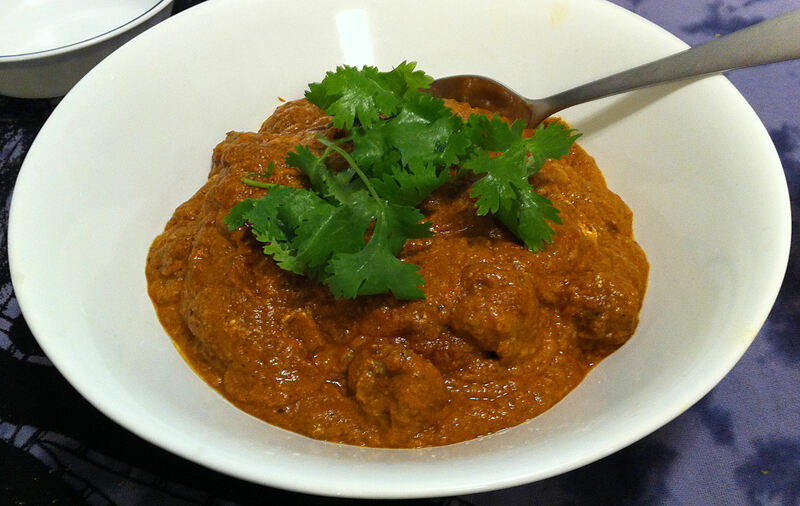 A classic lamb rogan josh is lamb braised for hours in a spicy sauce. My challenge was to adapt this recipe to her tastes. 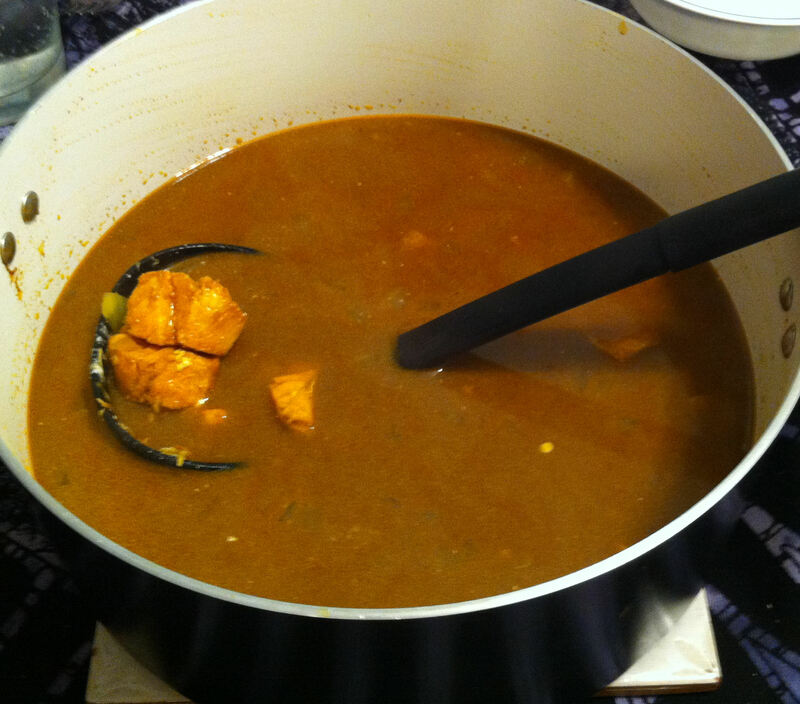 Many Indian dishes tend to be very spicy. 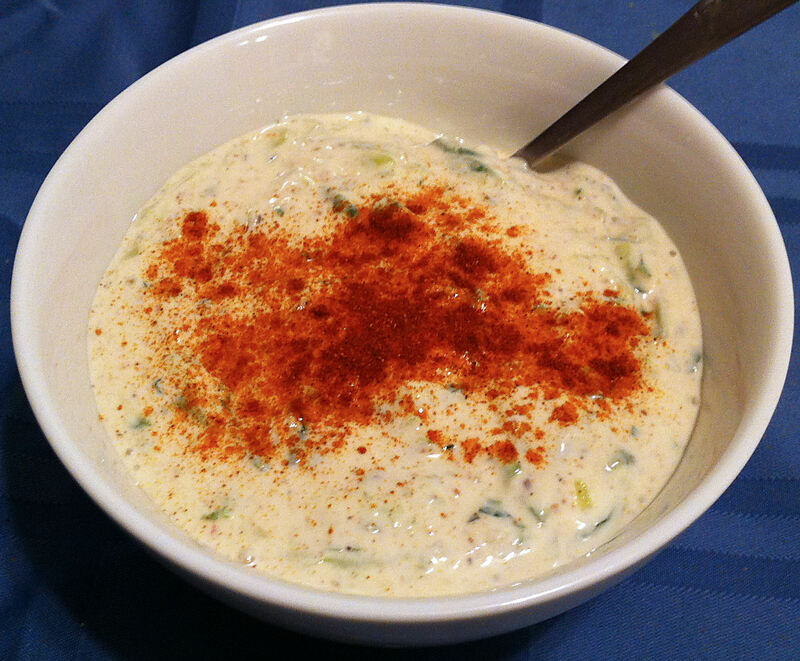 Hot food calls for a cooling side dish, a raita, which always contains yogurt. In the West, we are most familiar with cucumber raita, but in India the word covers a wide variety of dishes.